The company is a prominent Manufacturer, Exporter and Supplier of Anti Vibration Rubber Pads. Made from superior grade materials, our Anti Vibration Rubber Pads are suitable for the isolation of noise, shock and high frequency vibration produced by mechanical, industrial or process equipment on the floor. 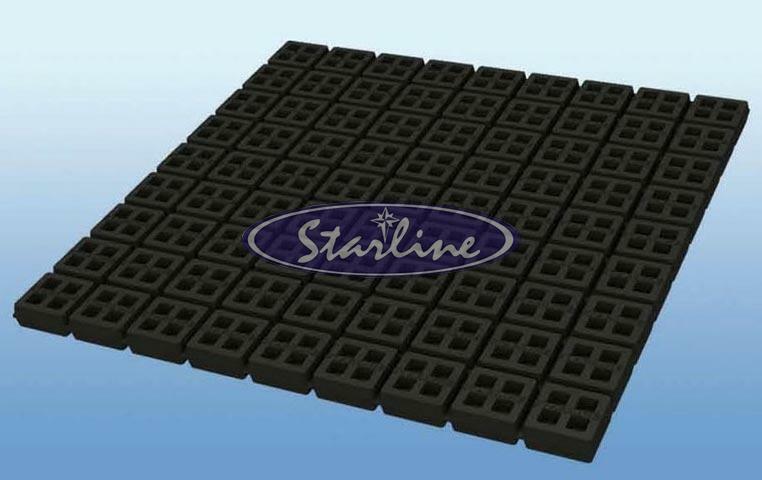 Our Anti Vibration Rubber Pads are generally used for wall-mounted condensing units, air handling units, centrifugal pumps, etc. The pads are arranged linearly when required to isolate heavier loads. Furthermore, our Anti Vibration Rubber Pads complies to the British Standards, BS 3974: Part. Superior to metal springs in terms of greater sound insulation ability. Low cost, easy to install. Load can be distributed over large surface area which reduces efforts in leaveling. Pad consists of 81 modules of size : 50 mm x 50 mm with 20 mm thick moulded in compounded natural rubber. The unique square cell design allows maximum deflection without rib collapse and sealing against external contaminants. Compounded natural rubber. Other elastomers such as EPDM, Neoprene, SBR etc.. Available on request.